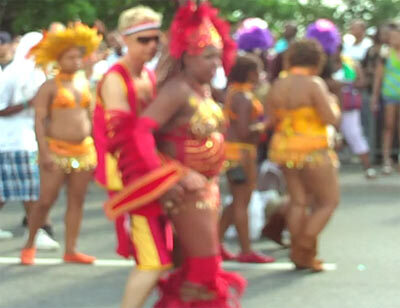 They say Caribana, the annual Caribbean carnival in Toronto, is North America’s biggest street festival. More than a million visitors are said to converge on the city for the celebration of Caribbean entertainment arts that culminates on the first weekend of August/last weekend of July – depending on how the August Monday holiday falls. A big street parade that mimics Trinidad and Tobago’s Road March with its mas’ bands of revelers in skimpy clothing and floats with grand costume players, is the big draw on the last Saturday of the revelry. This is Abeng News’ take on some of the party animals in all shapes and sizes.